A Year of Being Here: Alice D'Alessio: "Left Behind"
makeshift paint; some other—and make it work. find a different, maybe better, way. You will go where you didn't know you could. "Left Behind" by Alice D'Alessio. © Alice D'Alessio. Presented here by poet submission. The poet sent this backstory note: "At a recent poet and artist retreat in Maine, I was amused at how many people (including me) had forgotten certain items and how this served to bond us." 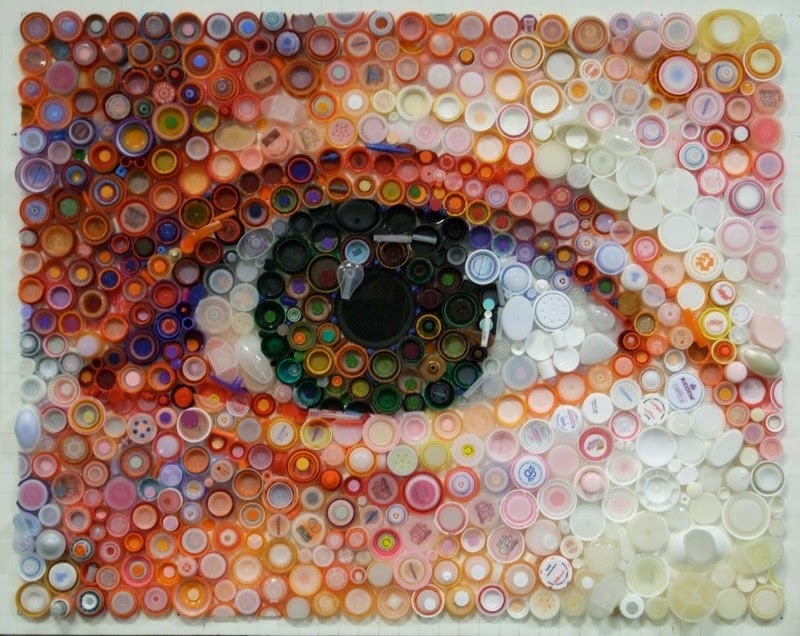 Art credit: "My Eye, 2012," 30" x 38" sculpture using unrecyclable plastic bottle caps, by Mary Ellen Croteau.